You’ve dreamed of this moment for so long and now it’s finally here. 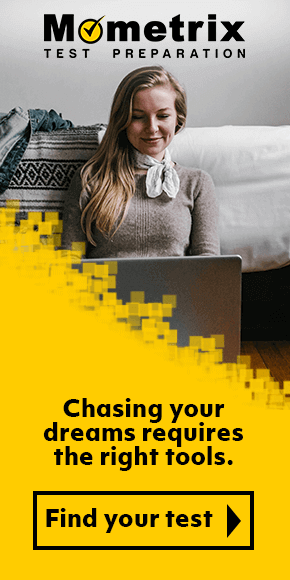 Now you can finally apply for nursing school and make those first steps to working in your dream field! But applying to nursing school isn’t quite as easy as it sounds. First, you’ll have to take the TEAS. As you already know, the ATI TEAS is an entry assessment designed to test the knowledge of nursing school applicants prior to their acceptance into their chosen program. The newest version of the TEAS is the TEAS VI. Thanks to the ever-evolving nature of the nursing industry, as well as the medical industry as a whole, the TEAS is perpetually growing and altering its contents in order to better fit nursing curriculum as it, too, evolves to match various medical advancements and expectations toward incoming nurses. 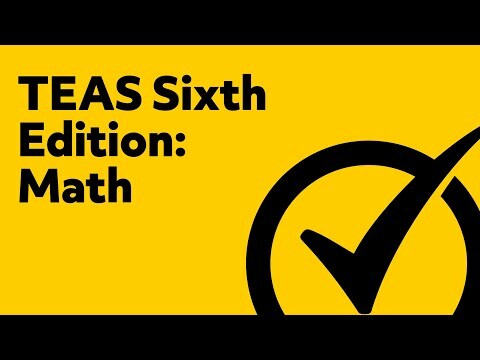 The TEAS 6 replaces the TEAS 5, and is the most current version of the TEAS to date. Like its predecessors, the TEAS 6 covers four subjects: English and Language Usage, Reading, Science, and Mathematics. In this overview, you’ll learn all about the Math section of the TEAS 6. Math and science have always gone hand in hand. In fact, you can rarely utilize science without involving mathematical concepts in some shape or form. As a nurse, you will have to utilize mathematical subjects on a daily basis as part of your work. When you take pulses or listen to heartbeats, you’ll have to know how many thumps per second are a healthy, stable amount. When you give vaccines or draw blood, you’ll have to know exactly how much to give or take. You’ll have to measure blood pressure and which numbers are too high or too low. Math will be all around you, and it will be up to you to adequately work with and record various types of numbers and units for the sake of helping patients to the best of your ability and assisting doctors in granting the best level of treatment. This overview is designed to assist you in knowing all about the new TEAS 6 Math subtest. You’ll learn not just how the new Math subtest has changed compared to the old, but about its concepts and formatting as well as how you can prepare for and approach featured questions. What Changes are in Store for the Math Section? We think you’ll be happy to learn that not much has changed in terms of the TEAS 6 Math section. The new Math subtest is a bit longer than its TEAS 5 incarnation, hopping from 34 to 36 questions. Four question items will not count toward your score, and are solely for survey purposes for future releases of the exam. To compensate for the increased amount of questions, you will have a bit more time to finish—approximately 54 minutes, rather than the old standard 51. The question categories themselves have received a bit of a trim. Now the questions on the exam will fall under either Measurement and Data or Numbers and Algebra. Don’t underestimate the Math section’s content just because it’s shorter now than it used to be! You’ll still want to put in adequate effort in studying for this section so you can earn the best possible score. To help you know how to study and approach each question, we’ll go over each knowledge category. Read on to learn more about how you can prepare. The Measurement and Data category is the shorter of the two, with only nine questions under it. However, it is fairly complex, as it deals with quantitative data in various forms. You’ll be expected to fulfill such tasks as translating units of measurement from metric to standard, and vice versa; reading graphical data, such as graphs and tables, and analyzing specific pieces of information; solving geometric equations to find specific measurements; describe how a pair of variables interacts with one another; and, through statistical math, analyze pieces of graphical information. Adequate preparation for this section will involve brushing up on your mathematical skills. Be sure to review both metric and standard units of measurement, as well as the arithmetic and other steps involved in switching from one system to the other. You will also have to be able to recognize geometric properties and which formulas best apply to which questions, as well as how to properly assess information given to you via graphs, tables, and other similar forms of graphical information. The Numbers and Algebra category of the Math subtest is far longer than its sibling, averaging at 23 questions. As such, it is even more complex, and features a larger number of objectives for you to meet. Some questions will come in the form of statements, which you will then have to convert into equations and other forms of mathematical expression, as well as one from one type of ratio (such as a percentage or fraction) into another, different type. Word problems will feature heavily under the Numbers and Algebra question category, and will typically center around such concepts as ratios, rational numbers, proportions, and percentages. You will also be expected to work with estimation and single variable equations. To tackle questions under this category to the best of your ability, you will have to brush up on your algebra skills and knowledge first and foremost. You may want to go over rational numbers and their properties, as well as the various types of ratios and how to convert them from one to another. Close reading will be especially important due to the large amount of word problems featured under this category. It will be up to you to pay close attention to the wording of each problem so you know what’s being asked of you and how to begin the solving process. How Else Can I Approach the ATI TEAS Math Section? As our summaries of each question category explain, the Math portion of the ATI TEAS 6 is fairly complex. As such, you want to ensure you’re as thorough as possible as you test, while also heeding the time limit. We encourage you to pay close attention to every question you receive on the exam. This will help you as far as testing efficiently, as reading the question thoroughly ensures you aren’t missing any information you’ll need to solve the problem correctly. At the same time, sometimes you may find irrelevant information included within questions, which are meant to throw you off. Reading closely will allow you to tell the difference and know how to tackle the question and find the best answer. There are a few tricks you can take advantage of in order to test more efficiently. Take advantage of the process of elimination to find test answers more quickly. This is a very valuable tool for saving time, especially when you’re undecided on how to answer a question. Using ballpark numbers may also help you when it comes to gauging which answer is correct. By creating a ballpark number for your answer, you can more easily sleuth out which choice is the best through careful estimation. If you are stumped on just which answer could be correct, examine any relevant numbers featured in the problem. If you find any answer choices that seem off, you can safely cross them out. If this method does not help you, however, feel free to skip the question and save it for later. It’s far better to move onto questions you can more easily answer than mull over those you aren’t sure how to solve. We want to encourage you to show your work as you answer test questions, even if the answer comes to you immediately. This will ensure you’re following all the steps and allow you to go back and check your math should an answer not seem right. In addition, it is a good idea in general to check over your work thoroughly, should you have enough time left after completing the Math section. Look over your work and make sure you didn’t misrecord any numbers or miss a step in the solving process. Examine your final answer by comparing it to the question and the work you’ve scratched out to ensure you didn’t miscalculate. Be sure you’ve bubbled in all of your answers as well. We hope this guide and our tips will help you as you embark upon this important test and enter this new stage of life. At Mometrix Test Preparation, we strive to offer test takers only the best and most comprehensive resources for their test taking needs. We know the importance of this exam to your future, which is why we’ve made available an ATI TEAS 6 Math study guide, ATI TEAS 6 Math practice test, and ATI TEAS 6 flashcards. 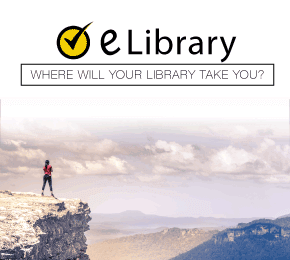 We want to make sure you have every possible resources available to you so you can study as thoroughly as possible and earn the best score you can.